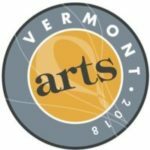 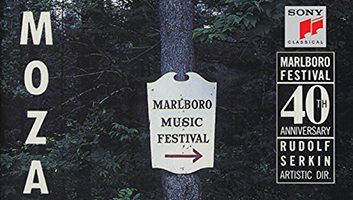 Marlboro occasionally issues recordings to share the wonderful music making that occurs in Vermont each summer. 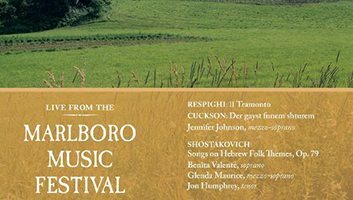 They are a wonderful way to experience quintessential Marlboro performances and repertoire or to evoke memories of especially meaningful performances from the past. 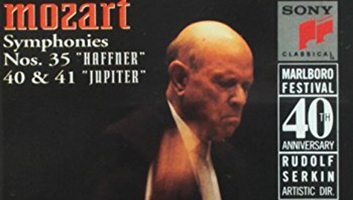 This Marlboro recording explores two contrasting Mozart piano concerti, but with equal care and enthusiasm. 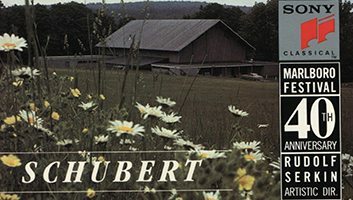 Just how ideally this music of love and desire fits in with the workshop atmosphere of Marlboro Music is fully evident here. 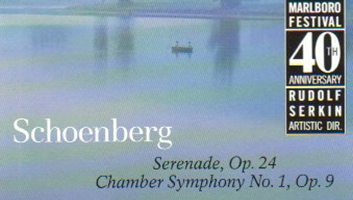 This festive Schubertiade from the heart of chamber music would certainly have delighted maestro Schubert. 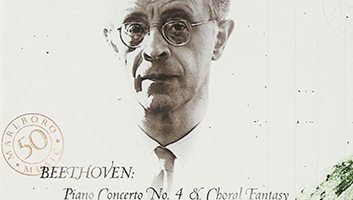 This recording appears to take place in the luminous glow of a private house and thus conveys a charming yet stimulating atmosphere. 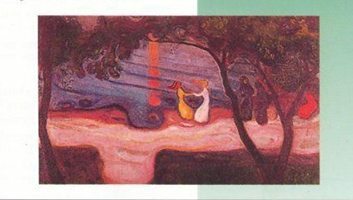 Superb artists well-known to festival audiences are featured on this album devoted to French masterpieces. 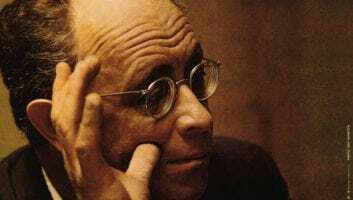 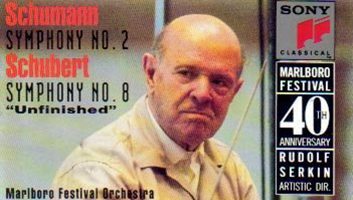 This album features three rarely-heard vocal chamber works, including Respighi's Il tramonto and Shostakovich's Hebrew Songs. 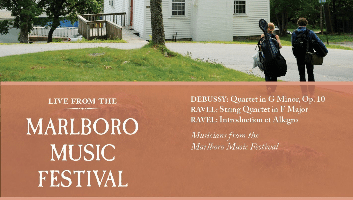 The late Guarneri Quartet founding member David Soyer is the central artist for this program of chamber works by Beethoven, Mozart, and Schubert. 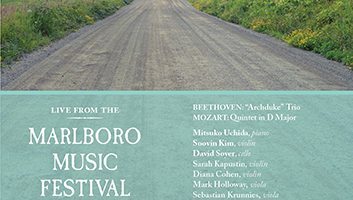 An exceptionally fine performance of the Mendelssohn string quintets by Jaime Laredo, Ani Kavafian, Heiichiro Ohyama, Kim Kashkashian and Sharon Robinson. 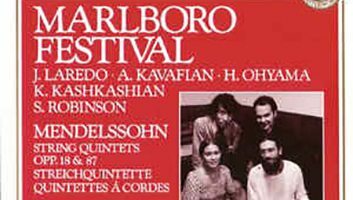 A sampling emblematic of Marlboro's distinction, including a 1974 account of Beethoven's 4th Concerto. 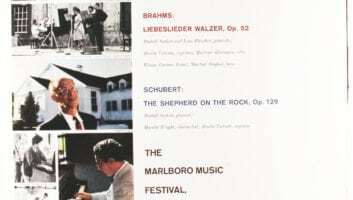 Iconic recordings of Schubert and Brahms songs featuring Benita Valente and many other beloved Marlboro artists. 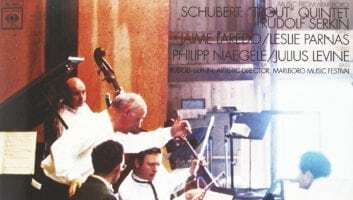 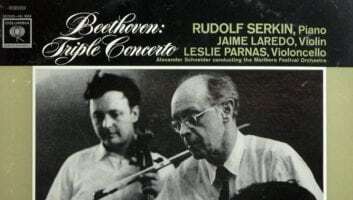 Of particular note on this 40th anniversary recording is the deeply felt Schubert String Quintet with one of the most serene second movement adagios on record.